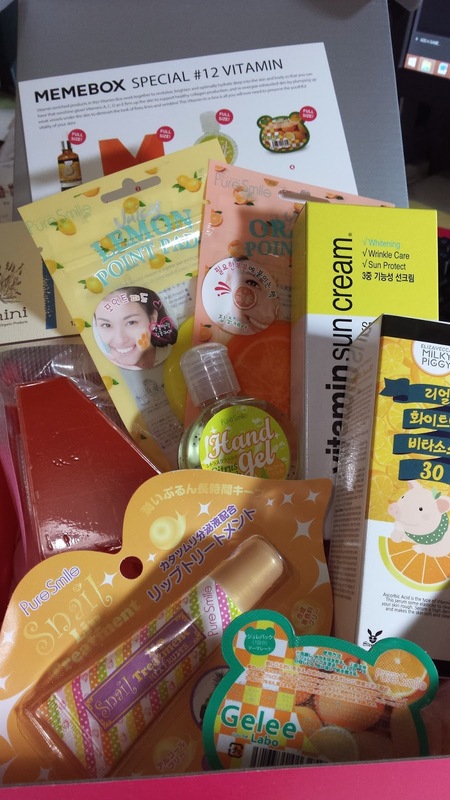 hehe i love this orange/yellow themed vitamin box! So bright! OMG, this leaked and pretty much the cardboard packaging was all soaked in the product. Had to dispose it as soon as i opened it. Still had a lot of product in the glass bottle though, so i just kept the bottle. 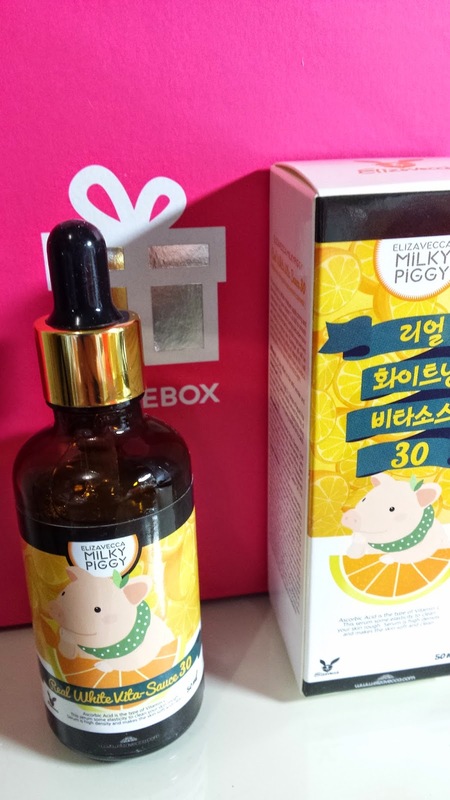 This product is an ampoule which contains pure vitamin C and is a great all-in-one healthy ampoule for your face! This sells for US $48. 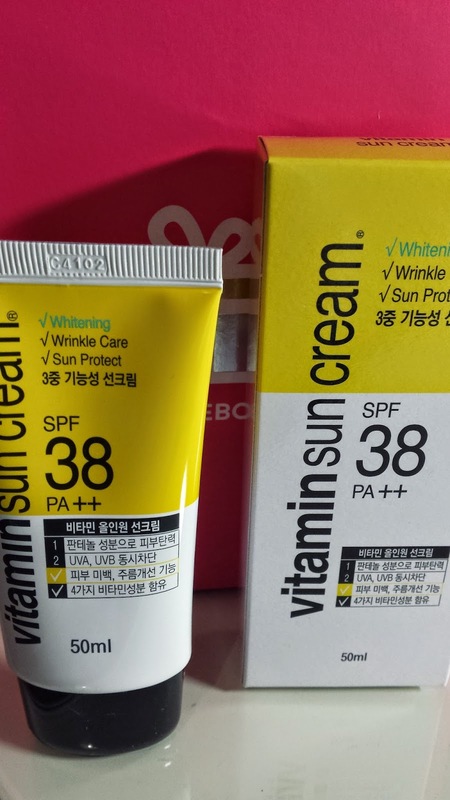 I think this is my favourite product in the box! 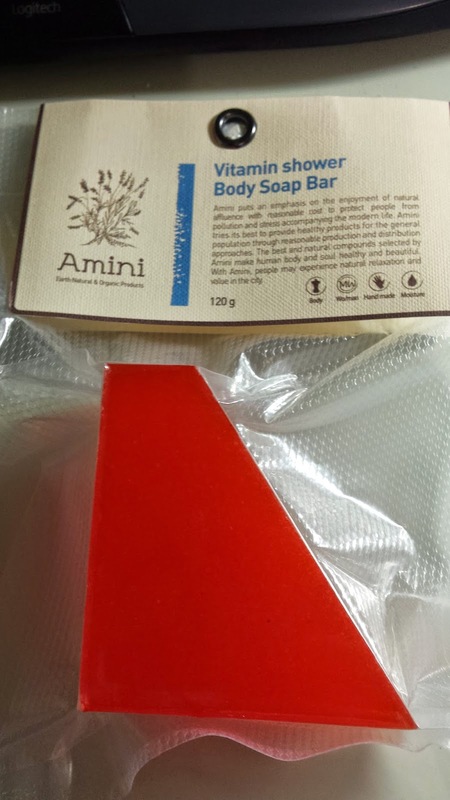 It's such a cute and modern design or a vitamin shower soap bar! Can't wait to use this in the shower and it's in a great orange/red colour too. This costs US $12. First time hearing of a hand gel?! It's a germ free gel for when you want to clean your hands and you're out! 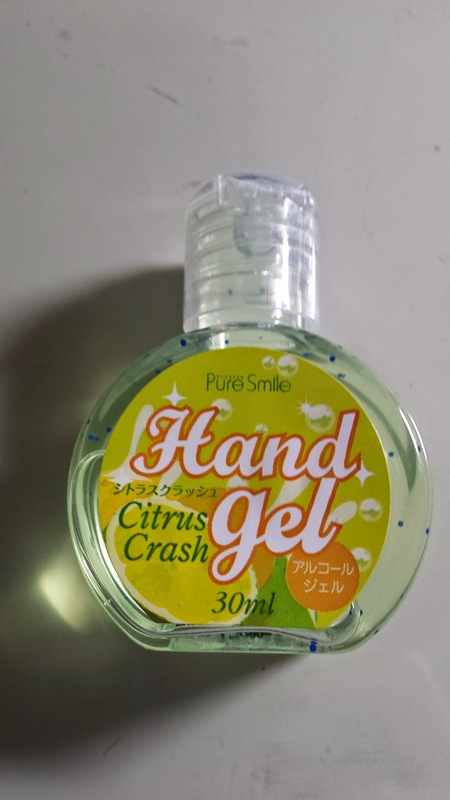 Such a cute size and this will definitely be useful in those dire moments to clean your hands when you are out! Super cute too! This costs US $2. 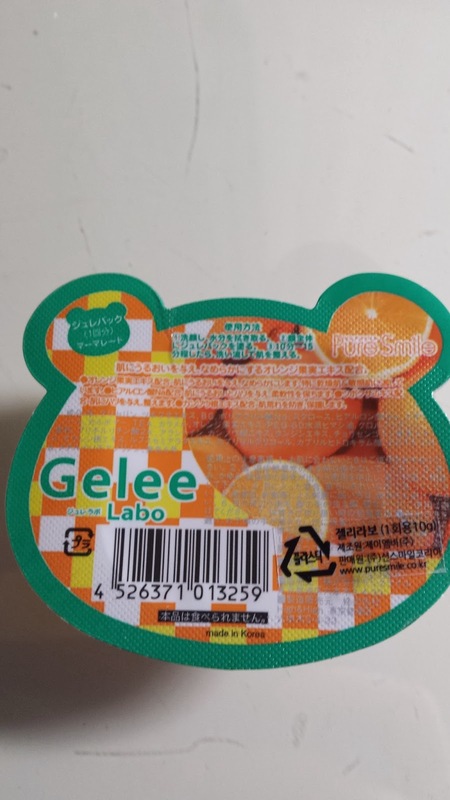 This super adorable product is a jam-like mask. Cute packaging, all you do is spread this around your face and wait 10-15 minutes then rinse off with warm water. Can't wait to try this out in the coming weeks! This sells for US $1. 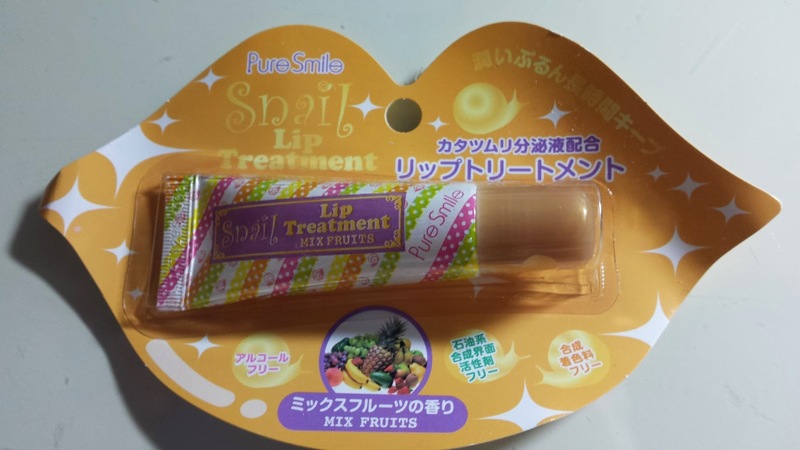 Another cute product with nice packaging is this clear lip balm which smells great! This is full of vitamin E and is in a great size for your bag. This costs US $5. At US $1 each, these point pads are so unique. 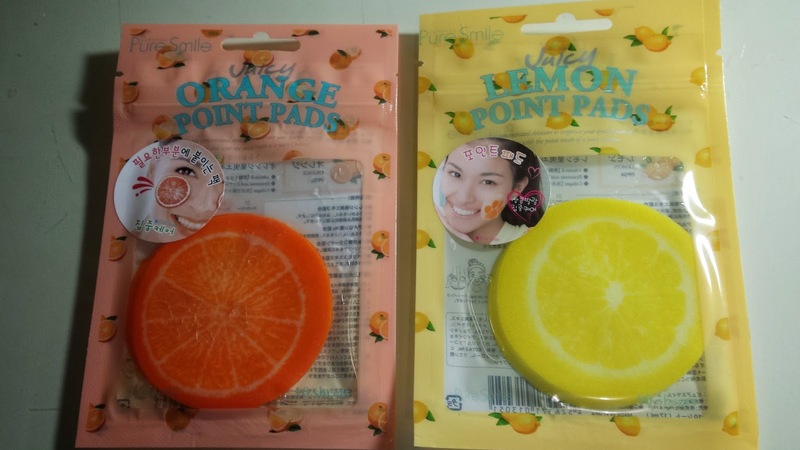 You basically place these pads on your face after cleansing and they should stick on areas of your face which you feel are irritated or dehydrated. Then you remove them after 5-10mins and pat the rest of the essence on! :) So simple!